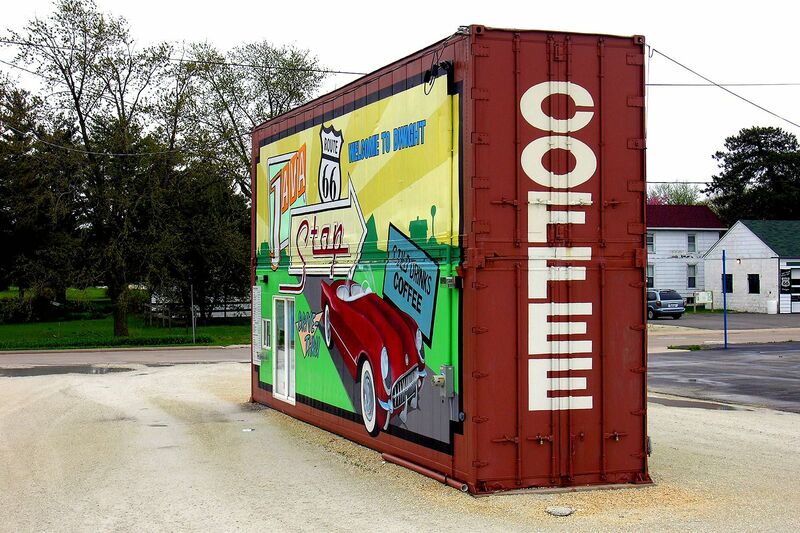 The owners wanted to bring northwest drive-up coffee to their childhood hometown in Illinois. 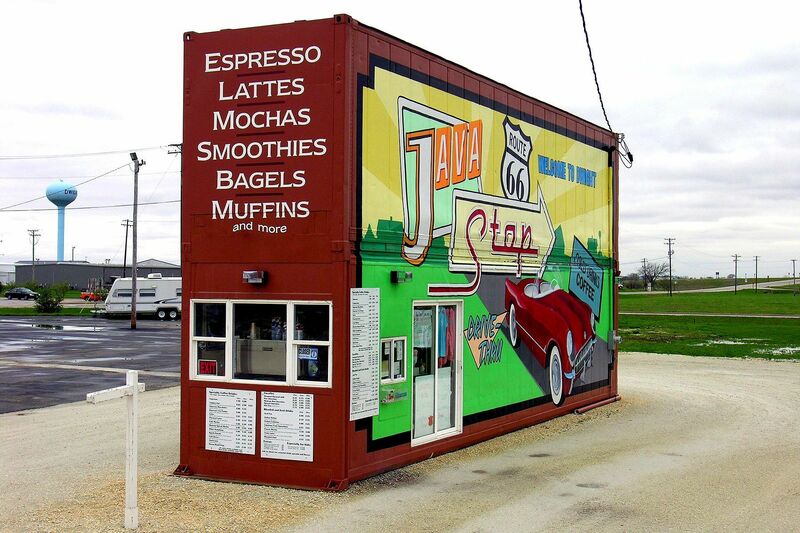 With several highways within viewing distance, the goals were to attract traffic to the site, provide necessities for a coffee stand in an extreme climate, and minimize construction cost. Two shipping containers were stacked with kitchen and services in the lower, and storage in the upper. A local artist painted murals on all sides branding the building as a billboard. 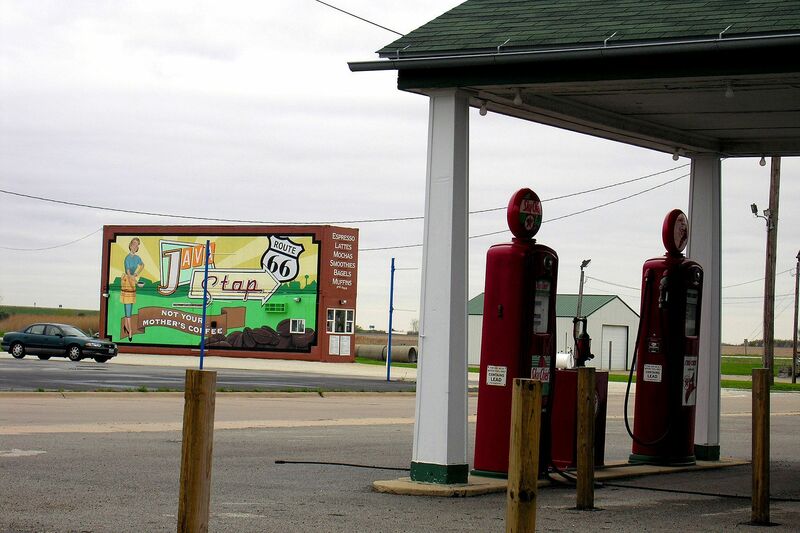 The site is on Old Route 66 across the street from an old gas station. 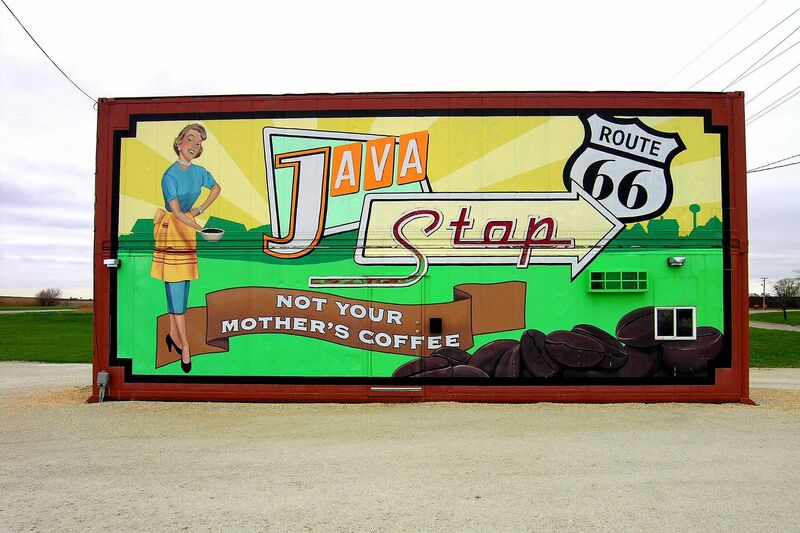 The cafe has become a beloved roadside attraction.